In February 2013, Animal Rescue & Relief and Berkeley County Sheriff’s office partnered to seize over 45 live, hound dogs at the home of Loney Garrett in Goose Creek, South Carolina. Said to be one of largest and most widely covered cases of animal cruelty in the history of the state, this case is being watched nationally by animal advocates. While 45 hound dogs were successfully removed, the remains of hundreds more were found scattered around the property. 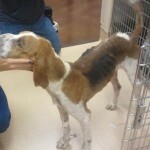 The 45 hounds were in deplorable condition with many needing emergency care. The seize was the result of an investigation by Animal Rescue & Relief, who followed up on tips and over time successfully pinpointed the location of the property. 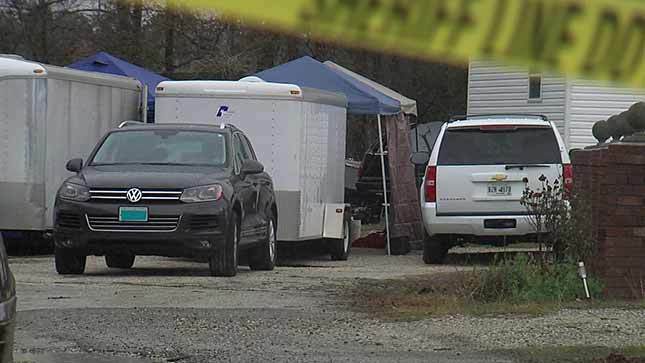 ARR brought the case to Berkeley County Animal Control and Berkeley County Sheriff’s Department who were able to get a warrant to search the property. ARR helped coordinate the resulting seize of animals and evidence and assembled a robust team of qualified professionals to assist, including a veterinarian, vet techs, and experienced volunteers that ARR has formally trained for these types of operations. The ARR team worked alongside Berkeley County investigators and over the course of a full day, removed and processed 45 live dogs that were all in various stages of neglect. Some of the dogs required immediate and emergency medical treatment, but all were medically assessed and thoroughly documented as evidence for the case. In addition to the live animals, ARR processed the deceased animals as well and worked with a forensic laboratory to conduct DNA testing where needed. Finally, working with a team of veterinarians, ARR oversaw the rehabilitation of the animals and documented the recovery during all stages. The documentation process is a critical element to assembling successful cases. The significant expenses associated with this work –including the medical care provided to the dogs and the forensic documentation and storage of evidence – were covered by ARR in its entirety. ARR also started an animal cruelty hotline for people to submit anonymous tips about this case or other cases of animal abuse – (843) 647-9610. Loney Garrett was charged with 43 felony counts of animal cruelty. Berkeley County Judge McGregor T. Dennis set bond at $500 for each charge, totaling $21,500. The judge said Garrett can no longer have animals in his possession. Following a subsequent bond hearing, Garrett posted bail. The case has unfortunately taken more than a year to go to court. A plea hearing has been scheduled for Monday, August 25th. Following this, the next step will be a sentencing hearing (date to be determined). Representative from ARR will be able to speak at the sentencing hearing. The public is welcome to attend public hearings and future court dates will be posted to this case file and to our social media. Show your support by attending the sentencing hearing – date to be announced soon!